This stylish, multi-folding AluK aluminium multi-folding door, and ultraframe roof lantern, are a fantastic way to let more light into your home this summer. AluK folding doors are highly versatile, and configurable to give maximum control over the style and operation of the doors. To accommodate the design specifications of the building multiple panels can be added. Flush line pop-out handles allow for square stacking panels when the doors are open, minimising space obstruction. Four stainless steel wheels ensure smooth, continuous operation. There are also a range of finishes to choose from, so they can compliment any external style. 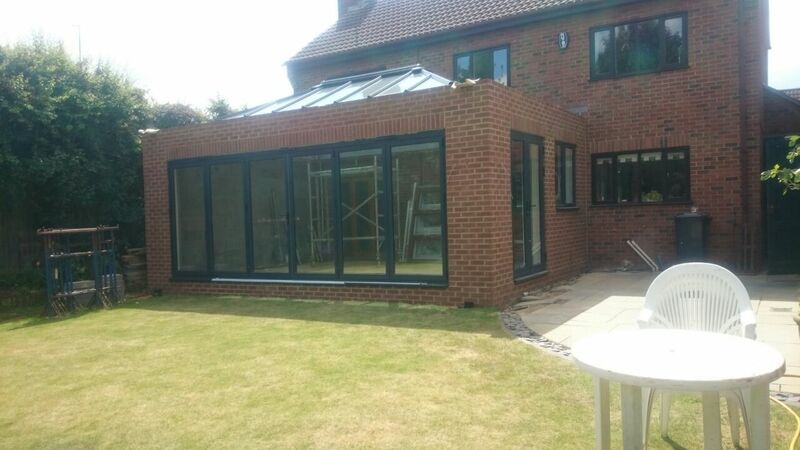 Alongside the multi-folding doors, we also installed matching anthracite grey french doors and a window, all from AluK. Roof lanterns are a fantastic way to add the feeling of space, and more natural light into your home. They can enhance any property, new or traditional, for any room in the house! Whether it’s for a living room, dining room, kitchen, bedroom or bathroom, roof lanterns are a stylish solution. 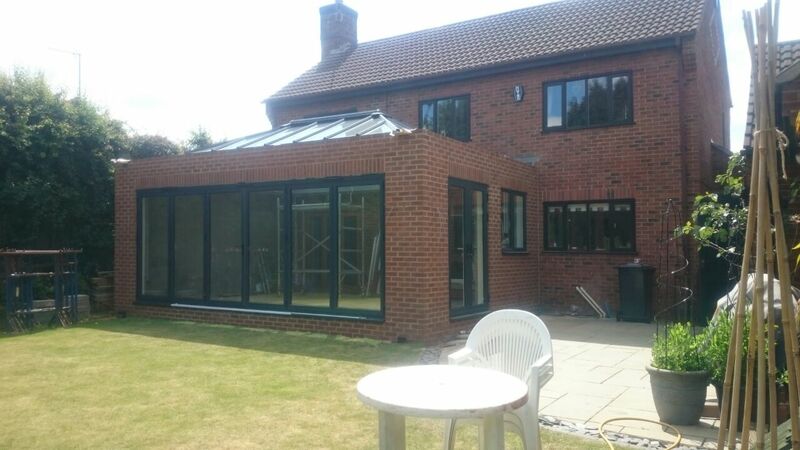 Installed on extensions, orangeries, or an existing flat roof, they reduce the need for a chunky roof ridge and maximise the amount of glass that allows light into your room. Why not get in touch with us today to find out how we can enhance your home!